Desi Smith/Staff Photo. 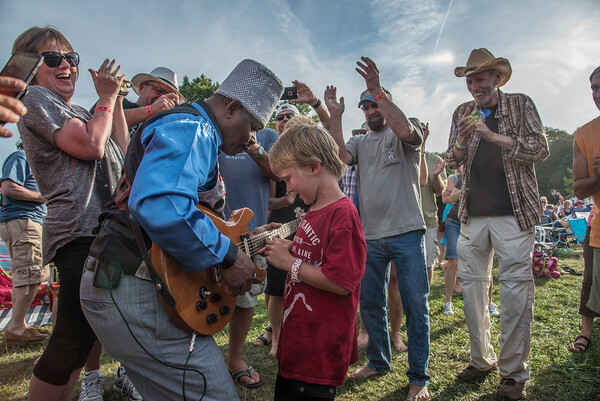 Blue’s fans cheer on Stephen Reed Potter 7, from Newvineyard, ME, as he picks the strings on Lil Ed’s guitar, as he made his way through the crowds during the Annual Blues Festival Saturday afternoon at Stage Fort Park. August 8,2015.